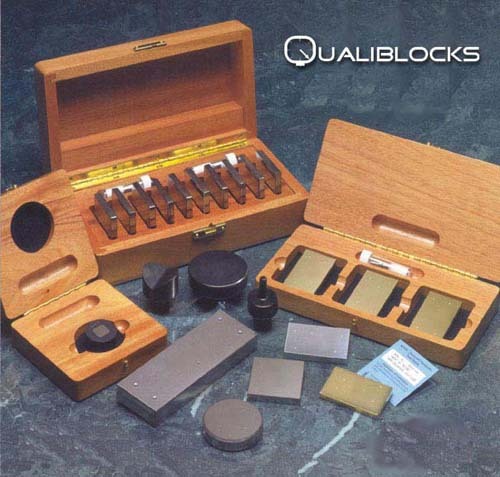 Qualitest offer the largest Hardness Test Block selection in the industry. If you don't see what you're looking for, please call our sales department. All of our Hardness Test Blocks come with Certification. All the blocks are calibrated and accredited to ISO guide 25 and will meet automotive and aerospace standards. The HRC test blocks are calibrated on the new NIST level. NOTE: Aluminum Test blocks are available in "B", "E", "F", "G", "H", "K" Scales, but ranges are more limited. Indentron® and Versitron® are registered trademarks of Newage Testing Instruments, Inc. Each diamond penetrator is mounted in conformity with its grain structure, to assure balanced pressure and prevent early wear or breakage. They are precision ground, lapped and polished. We also subject each diamond penetrator to a strict performance test before it is approved and certified for sale. All of our Brinell Test Blocks come certified to applicable standards. We adhere to a strict procedure for the calibration of these blocks, and the accuracy of the tester is maintained using a proving ring and load cell both traceable to N.I.S.T. The readings themselves are done using a stage micrometer also calibrated and traceable to N.I.S.T. Our range of micro hardness test blocks exceed industry standards. All of our micro test blocks are mirror-polished and mounted to provide the best possible test surface. Each mirror-polished Heavy Load Vickers test block has the same surface area provided by our Rockwell test blocks, so that you get the most test opportunities for your money. Note: When ordering please specify Knoop or Vickers, Load and the Hardness Number you require. *Vickers Indenter available for all of different makes. Please specify the make of your hardness tester when ordering. *Knoop Indenter available for all of different makes. Please specify the make of your hardness tester when ordering. Our Master Calibration Kits are produced to provide our customers with the ultimate tool in Quality Control. Each kit contains a test block or blocks and the actual indenter unit that was used to calibrate them. By matching specific blocks to a specific indenter, a set relationship is established, and they can be eliminated as potential variables in the hardness test system. Should a problem arise, a master kit on hand allows you to quickly and accurately determine whether your hardness tester is the source. Each block in our kits has been calibrated on a tester whose accuracy has been verified using N.I.S.T. traceable load and depth measuring devices. The individual test blocks are marked both with their own unique serial number and the serial number of the indenter in the kit. All of our kits come with their own polished wood case, and certified to all the applicable standards.